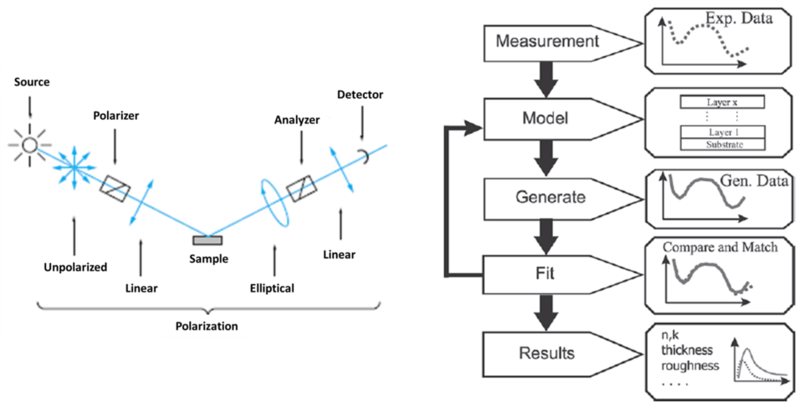 Ellipsometry is an optical technique for analyzing and characterizing an interface or a layer between two surfaces. The method is based on the measure of the change of polarization as light interacts with the material structure of interest . 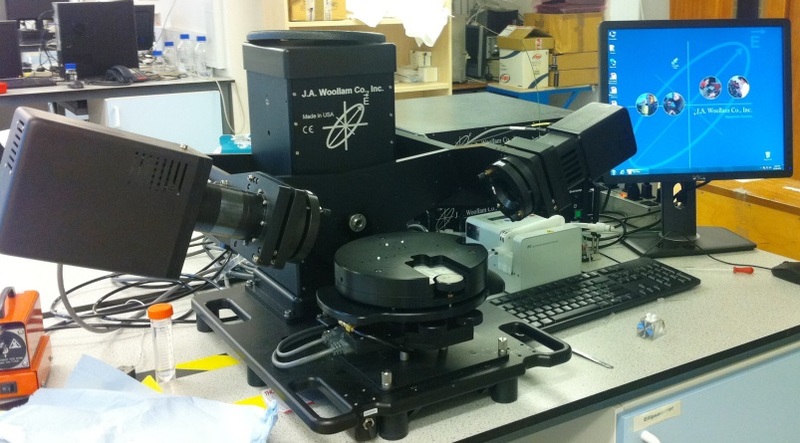 Ellipsometry is a very used technique, with applications in various fields, as semiconductor physics, microelectronics, biology, biophysics, telecommunications, from basic research to industrial applications . In biophysics, this method can be used to study interfacial films at solid-water interface, the structure and dynamics of interfacial adsorption of proteins, the interfacial assembly of lipids, and the interactions between various nano-objects and lipid bilayer. The experimental setup usually is composed of a source, polarizer, analyzer, and a detector (fig.1a). To these basic components can also be added other elements, as modulators, compensators etc. The source emits a unpolarized beam, which is subsequently linearly polarized by the polarizer, and after reflection on the sample is elliptically polarized. The analyzer captures the beam and after passing through the spectrograph, the beam is transformed into digital information, which afterwards is processed by the computer. After the measurements, in order to characterize the sample and find the refractive index (n), the extinction coefficient (k) and other properties, the data needs to be modeled, and the experimental results have to be fitted and compared with the theoretical graphics (fig.1b).